We’ve all gone a little Fox crazy over here since I finished work on Miss O’s Fancy Foxes! 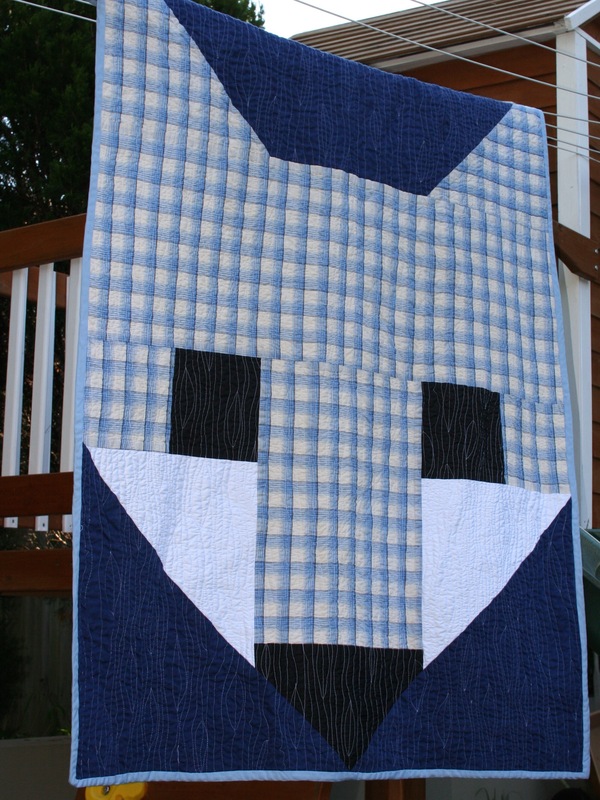 So when Mr L asked for his very own boy Fox quilt to snuggle up with this winter I was more than happy to oblige. I made the decision to go with one giant fancy fox for a couple of reasons, firstly for a bit of variety after only finishing Miss O’s quilt days before, though I must admit the biggest factor was the time it would save, because we all know that nothing can ever be finished fast enough for a 5 year old! I purchased the fabric for Mr Foxes face from Tessuti Fabrics in Chatswood, on one of those perfect fabric shopping trips where you find exactly the fabric you are after on the remnant table, and was lucky enough to find the perfect coordinating linen in my stash left over from Miss O’s Sunday Brunch Skirt. 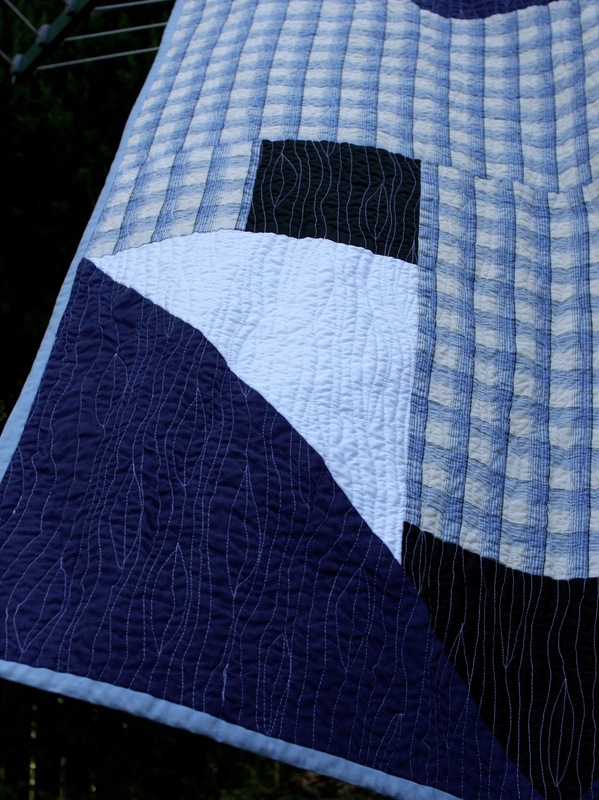 This quilt was a dream to make pieced and quilted in a matter of days much to the delight of Mr L! 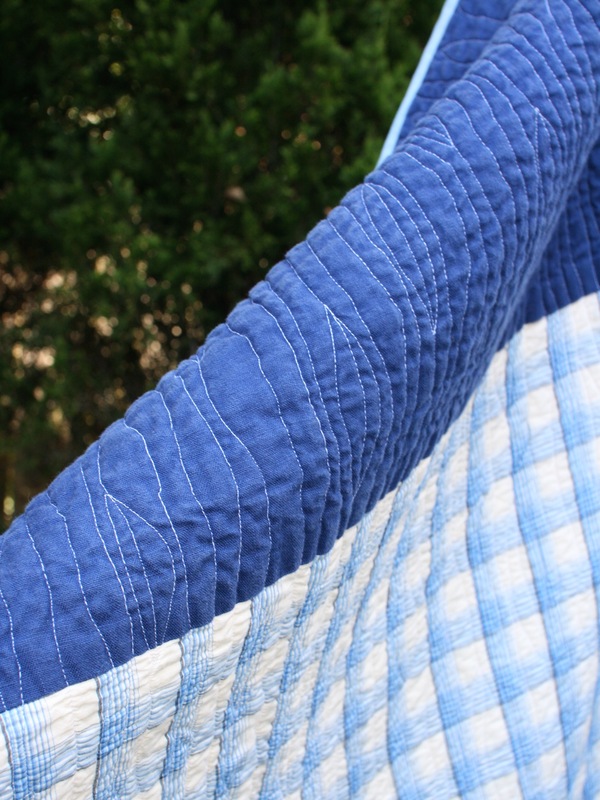 I used a single layer of my favourite sew easy cotton bamboo batting on this quilt as I have been so pleased with how well it has stood the test of time in Miss O’s Cot quilt. I also tried my hand at free motion quilting for the first time using my newly restored Singer 201 and whilst I definitely have room for improvement it was a successful first attempt. I just love this little quilt, there is always something special about the things I make for my children, and I am happy to say that in the days since I finished this quilt it has become a firm favourite for Mr L, and hopefully will remain that way for many years to come.